Does everything taste better grilled? I don’t know yet as I have not grilled everything. But what I have thrown over the charcoal has tasted better. Particularly an American favorite – pizza. A couple years ago I watched Alton Brown make pizza on the grill during the final season of Good Eats. At the time I sadly did not own a grill – I know what a sad state of affairs. That is no longer the case. I followed his instructions last year and the results were wonderful. I didn’t know what to expect of the crust, would it be too flat for my liking? The crust is just about as perfect as crust can turn out. 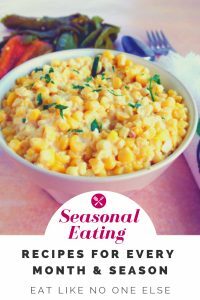 It is still chewy but it has that wonderful grilled flavor that knows your taste buds into a coma! The main thing I took from Alton Brown’s recipe is the dough. I didn’t try his date and prosciutto pizza as that sounds awful to me, and I didn’t quite follow this Margherita pizza – I made my own. The dough itself is wonderful. The dough makes 3 small to medium pizzas depending on your definition of small and medium. I think keeping the pizza a reasonable size is a good idea considering you don’t want the pizza to be raw in the middle and burned on the bottom. A couple notes below about working with his dough. 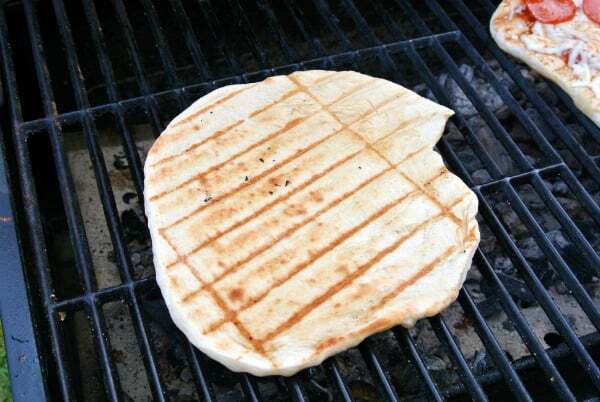 Aren’t those grill marks beautiful! 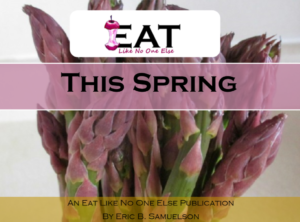 If you are interested in the recipe for Alton”s dough, click/tap here. 2. I had to add more flour when making the dough. My dough ball wasn’t really coming together so I add a little more flour at a time until the dough starting forming a ball. 3. The one hour rising time was perfect. The dough has doubled. 4. When you get to the second rise start getting your toppings ready and the grill fired up. 5. Each side of the pizza took about the 3-4 minutes Alton called for. The challenge is too make sure your coals if using charcoal are spread even so that you can have even heating. 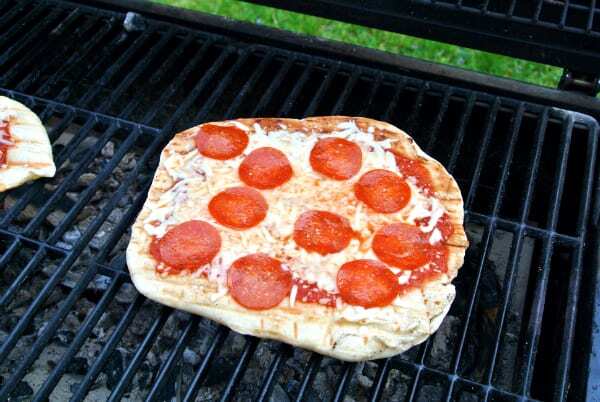 The pizza does look weird on the grill. 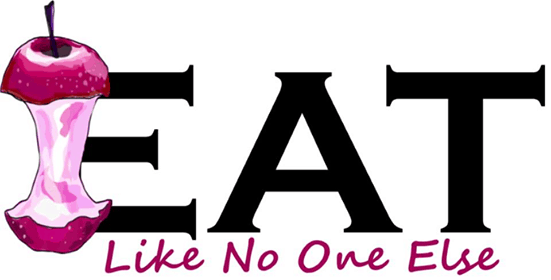 But oh man, does it taste good in the mouth! Again this dough is out of this world amazing! You can use whatever homemade dough recipe you like. Just remember you want this pizza to be no more than a medium size so if your recipe normally makes a large consider cutting the dough in half. 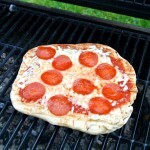 Here is how I made my Pepperoni Grilled Pizza. Divide your pizza dough into 3 pizzas. Roll them into a ball. Cover the dough with a towel and allow it 45 minutes to rise. Roll out each dough out into a circle. Place on a floured pizza peel or floured cutting board. Brush with oil. 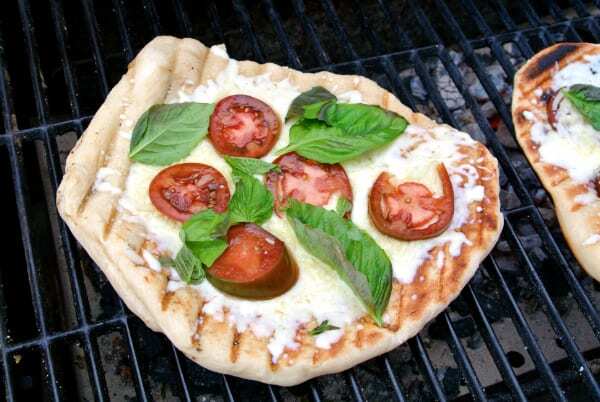 Place the dough flat onto the grill. Close the gril. 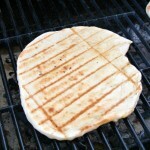 Cook for 2-4 minutes or until grill marks have formed on the bottom of the dough. Brush the top of the dough with oil and flip over. Work fast adding the ladle your sauce on top, add the cheese, herbs, and pepperoni. Close the grill as soon as your done. Allow to cook for another 2-4 minutes until the cheese has melted and the bottom has grill marks. Repeat steps for the remaining pizzas.